Beautiful camphor laurel chopping board with a koi fish design that I burn by hand. 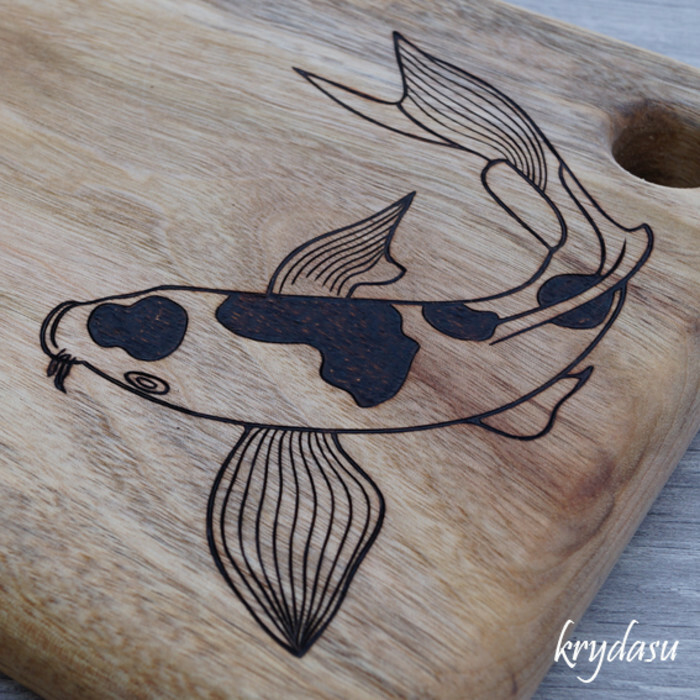 While wooden cutting boards are lovely pieces on their own I like to add to that with little pieces of art. 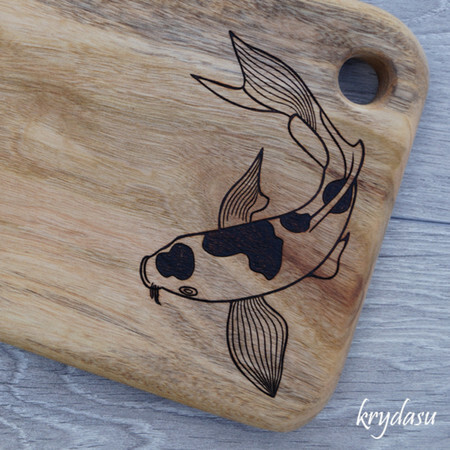 The beauty of pyrography is that it burns a lasting image in wood that continues to be food safe without needing any special care. Camphor laurel is naturally antibacterial and a declared weed in Queensland. 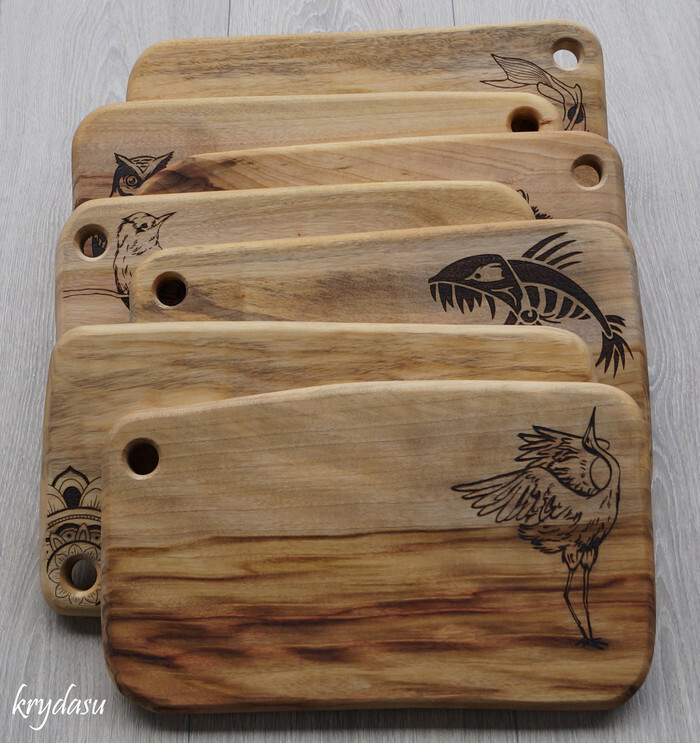 These boards are made in Queensland and each one is different. 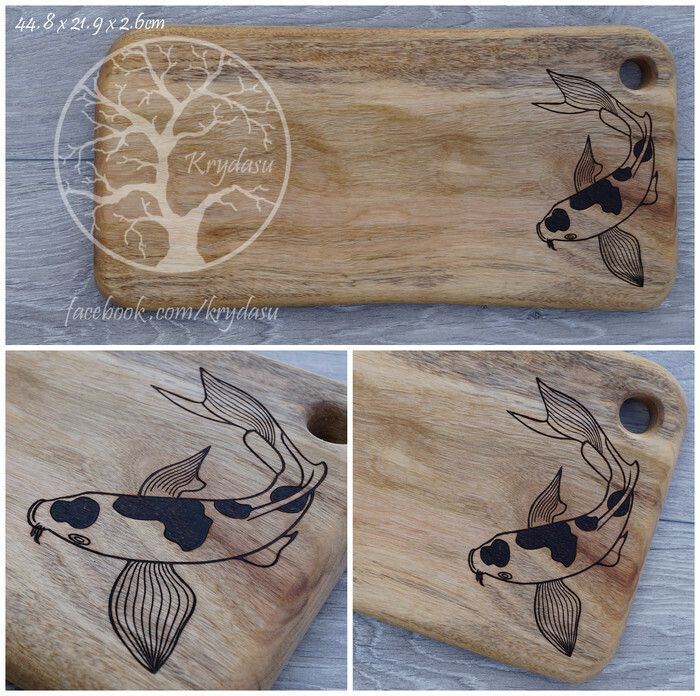 Burning these images into stunning Australian made chopping boards makes them a unique gift idea, perfect for Christmas, birthday, mother's day, father's day, housewarming or any other occasion! 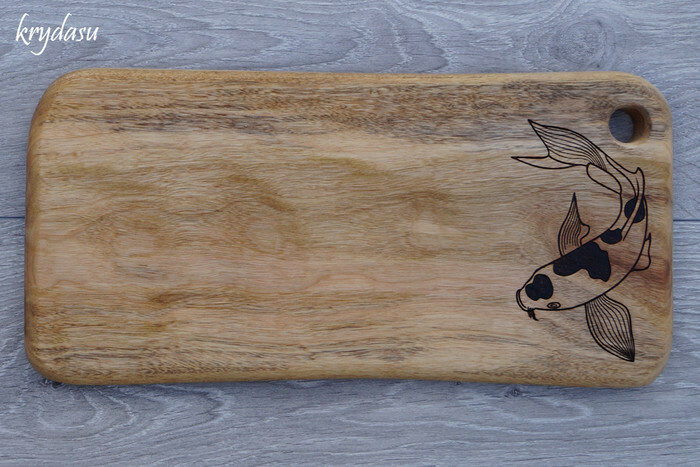 As with all wood items these are hand wash only, avoid letting the board soak up too much water and oil regularly using food grade mineral oil. I accept payment through PayPal, Direct Deposit and cash on pick up (Deception Bay, QLD). Every item is carefully wrapped (in recycled packaging when possible) to ensure your item leaves my hands in perfect condition. I will not be responsible for loss or damage unless you purchase insurance. I will ship your item as soon as possible after cleared payment.